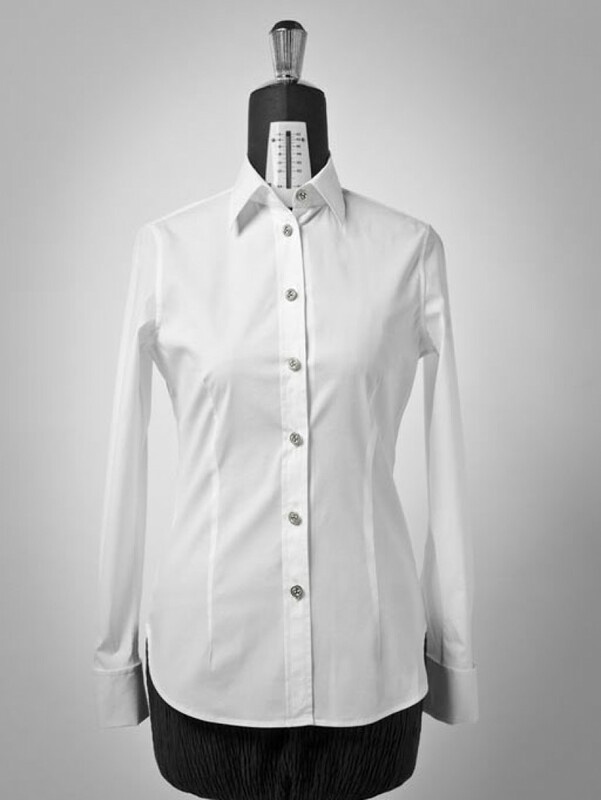 A shirt that silently highlights my femininity, thanks to a slightly masculine style. 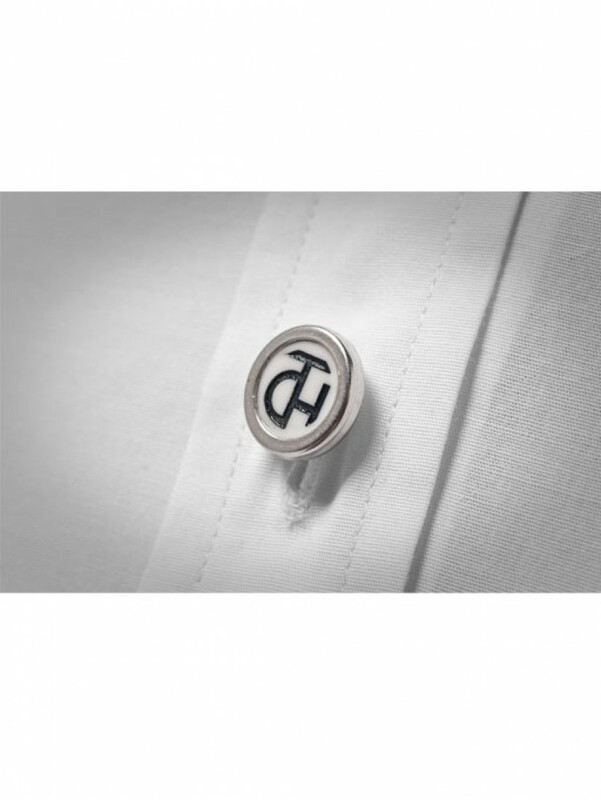 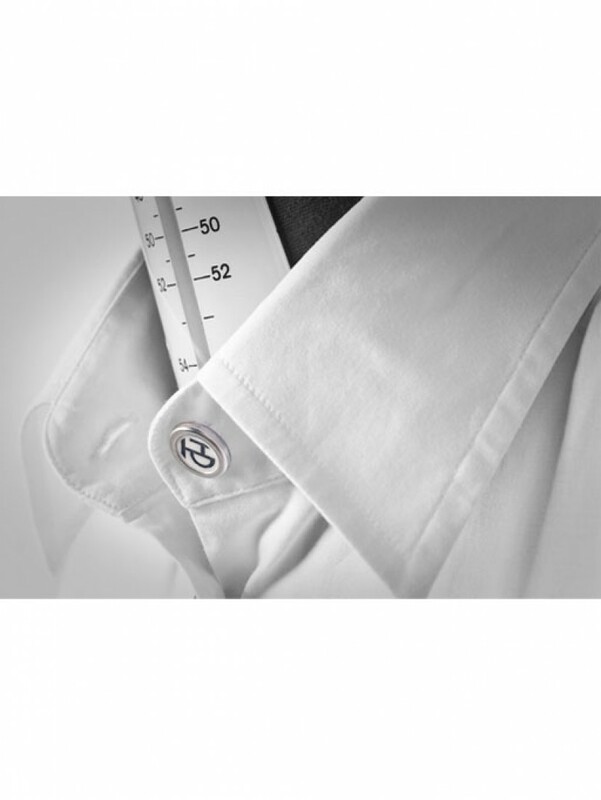 White, in stretch cotton with double cuffs and logo buttons. 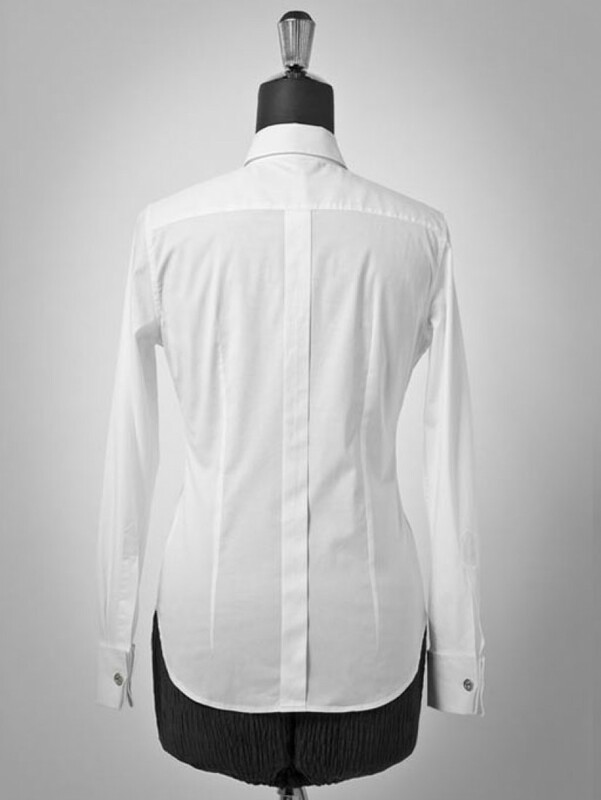 With initials in white or black where the sleeve opens.